This one’s particularly hard to write. It was never supposed to end like this. Since the age of 17, I’ve felt really driven. And part of that is due to my seventeenth birthday present – driving lessons. It took a while for me to pass, at the age of 19, which at the time was mocked by younger friends for taking so long. Nowadays, I know plenty of people who have yet to pass as they approach their thirtieth. And those that once took the mick, have passed at 23. It’s hard to deny that my drive to drive, so to speak, was weak. And it took a while after passing since I went and got a car of my own – I believe I was 21 if my memory serves me right. I remember going through Autotrader to find the vehicle that would match my budget – a particularly small one for a first car. 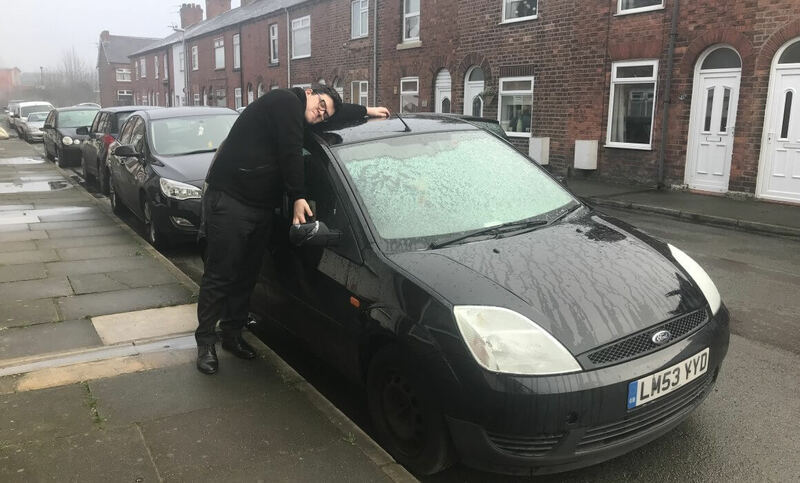 I ended up landing a cool black Ford Fiesta, 53 plate and 50,000 behind the wheel. At just over ten years old, I grabbed the car I wanted for £2,500. It took a while before I felt comfortable behind the wheel. For when I got my first car, I would only drive it on the roads that I knew from growing up in Potters Bar. Together with that mindset and a black box, meant for really quite restrictive drives. But the perks were clear to see, McDonald’s drive-thru was one particular blessing. I quickly nicknamed my car Liam, after its numberplate. Not adhering to usual naming conventions of calling my car a girl’s name, I couldn’t care. The bond between myself and Liam had started. Liam had taken me through a journey. In fact plenty come to think of it. It had taken me to uni on those cold nights to and from the University of Hertfordshire. Where I’d finish many evenings of study in the late evening and it struggled to clear the windows of their condensation. Liam had taken me to my placement during my sandwich year at University too, introducing myself more and more to becoming an adult. It had taken me to Dame Alice Owens too, where I loved to work as an IT Technician and grow my IT skillset. From all the jobs I’ve had, Liam has been parked outside waiting to take me back home. Liam’s been around my dating life too, which we won’t delve into much here! A little NSFW but I’ll cherish the memories made between that car, me and X, Y and Z.
Liam took me from Potters Bar to Manchester for my first house move. To the different job interviews I’d attend and nights out I’d spend getting to know new people. It’d take us to five a side football, nights out in Liverpool and exploratory trips up in the north. It took me to events that I once only dreamed of going to, like a Busted concert, Killers gig, Penn & Teller and V Festival. Countless cinema trips, arcade days out and bowling alley brawls. Liam took me on memorable holidays away too. Llandudno, Edinburgh, Lake District and Hawkstone which used to mean the world to me as a kid. Having my first car meant that I could go to holidays abroad, taking us to the airport for Hamburg, Disneyland Paris and a tour of Europe. Liam has been through his bumps and scratches, all the fault of other people may I add. Yet he powered through, proving tough and resilient – despite what my bank balance would say about the frequent repairs! I’ve taken Liam from 50,000 miles to 85,000 over the course of coming up to 6 years. And he’s taken me on a wild journey too. From the age of 21 to 26, I’ve kept that car like a brother. It’s with a heavy heart that on 7th December 2018 that all changed. Some pleb overtook into my lane, causing a three car write-off, including Liam. The damage wasn’t actually that bad. It was all cosmetic, but due to how economical it would be to repair, the insurers wrote the car off as a CAT D.
So it’s with a heavy heart that my first car has now been taken to the scrapyard. A perfectly good car, beside a few bumps, gaffa tape and selotape. It’s a strange world we live in, where disposable cars are a thing. Through no fault of my own or Liams, it’s goodbye. I’ll miss you big man. God speed.